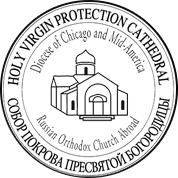 Our brotherhood is an integral part of the parish of the Holy Virgin Protection in the city of Des Plaines, lllinois. 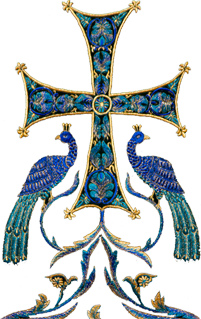 If you look at the life of any parish of the Orthodox Church you will notice that in the majority of them the most active role is played by the sisterhood. We have to admit in all fairness that you seldom hear about the brotherhoods. They certainly exist but there are few of them so many of you will ask, Are there really orthodox men who now care for the parish? During the Second World War one of the prelates of Moscow noticed, “The women have saved the church.” This is an absolutely fair statement: our grandmothers, mothers and all the women supported the temples of the Church during that difficult period of time for the country. Thank God this pious tradition has never stopped and continues today in the Fatherland and abroad. We give honour and praise to all these pious women! But we can say with full confidence the the Orthodox men of the parish are also concerned about the life of the temple and the future of the young generation. It is important that the legends and traditions of the Church be continued. These men exist in any parish, they are simply not noticed. It is not often that the men of the parish gather and create a formal brotherhood. With God's help we decided to meet and create such an organization at our cathedral. On December 24, 2007, with the blessing of His Grace Bishop Peter, our desire was granted and we began our work in honor of the holy Nicodemus of Arimathea. The mission of the brotherhood to help the parish includes helping with the management and upkeep of the temple, assisting the sisterhood, helping the clergy educate the youth, work to create conditions and means for the effective pastoral activity of our clergy, the creation and maintenance of the parish web site, distribution of a church bulletin and organizing spiritual discussion groups.